Start growing on a small scale, then watch your plants take root! 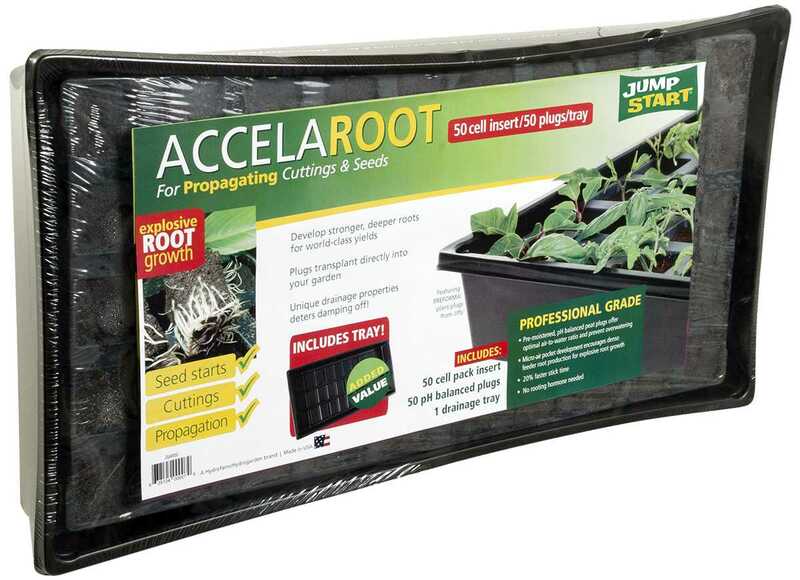 The AccelaROOT 50-cell tray gives you up to 50 small "homes" for your seedlings and cuttings. This finely crafted tray is made to help you jump start growth. 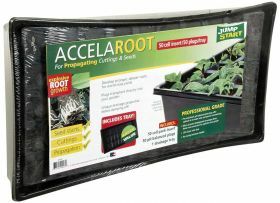 Once you've started to sprout, plugs come out of the tray cells easily to be transplanted into bigger pots or a garden setup, letting you start all over againÂ?with the same tray. No more equipment to buy!